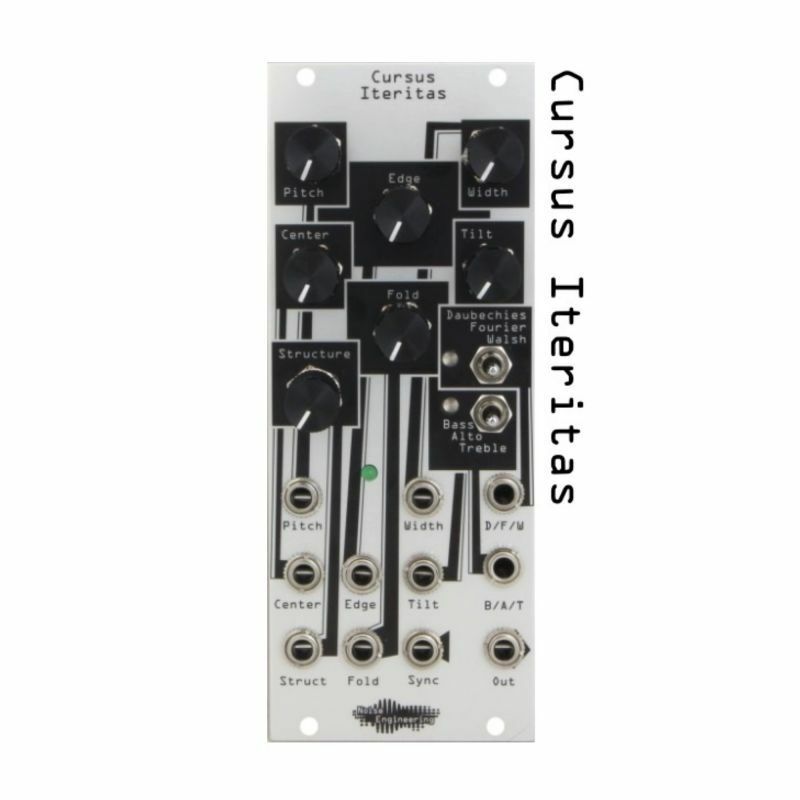 Cursus Iteritas is a 10HP oscillator that works from a dynamically generated wavetable. It gives the user spectral-like controls over three different modes based on different conceptualizations of frequency: Fourier, which uses sine waves; Daubechies, using wavelets, and Walsh mode, using the Walsh transform. 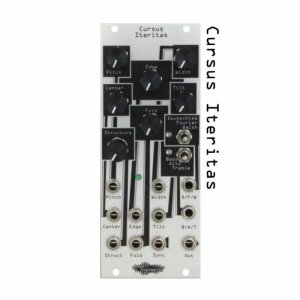 Cursus Iteritas parametrizes a wide variety of sounds, but because the sounds are all based off of orthogonal functions, it has a musical tone structure and can produce an extremely wide variety of harmonic sounds. "a series of of repetitiousness"